Artificial intelligence (AI) is a hot-button issue in healthcare. It is creating divisive arguments around the pros and cons of the ethical, clinical, and financial implications for every stakeholder in the healthcare ecosystem. For example, while an experiment that resulted in 15 doctors being beaten by AI attracted major publicity, so did the ineffective implementation of EHRs. According to one recent report, the AI healthcare market will surpass $34 billion by 2025, driven largely by a growing demand for automated tasks, deeper insight into clinical data, and reductions in the cost of healthcare overall. For instance, AI that can leverage deep learning algorithms to read MRIs faster and more accurately than humans can. AI also powers natural language processing (NLP), which uses the unstructured data in electronic health records (EHRs) to predict patient outcomes and identify potential treatment scenarios. Equally important is the savings that AI in healthcare could create. One recent report shows that AI applications could generate annual savings of $150 billion by 2026. These savings are generated when AI is utilized to create applications like virtual nursing assistants, robot-assisted surgery, and the development of preliminary diagnoses. It also includes savings created when AI is used to improve processes like administrative tasks, ensuring proper medication dosage distribution, identifying participants for clinical trials, and automating diagnoses for images created by X-rays and MRIs. But a great division exists between those that evangelize AI’s potential promise and those raising alarms over its potential threats. 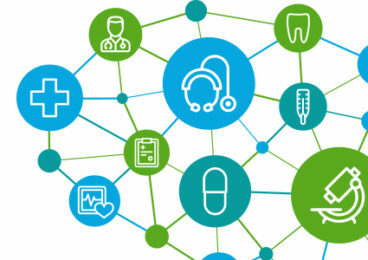 On one hand, AI could be used to generate new insights into patient care while streamlining healthcare data between doctors, hospitals, insurance companies and others in the healthcare ecosystem. Quite beneficial considering that the Healthcare Information and Management Systems Society (HIMSS) estimates that almost 90 percent of mistakes in the healthcare industry are administrative and, thus, preventable – and hospital error is the third-leading cause of patient death. On the other hand, AI creates concern over patient privacy, patient preferences, safety, ethics, and treatment errors. 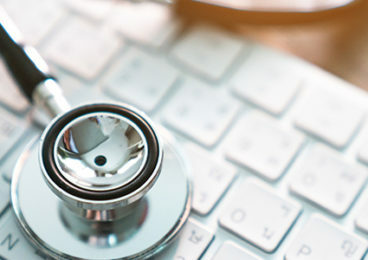 There’s also a great deal of concern regarding the learning curve of implementing AI ever since EHRs were supposed to simplify healthcare, but instead became a costly and time-consuming disruption. Moreover, the medical community would need to be well informed about how to address the technology with their patients, as their background differs from developers who know what information is accessed by AI-driven applications. No wonder Population Health Management is a major spend area for healthcare providers. For AI to meet the expectations of those that welcome it, as well as to overcome the concerns of those that doubt it, several factors should be considered. First, it’s important to understand the type of data available. There’s no question that the healthcare industry creates massive amounts of data thanks to advancements in medical devices and requirements like HITECH from the American Recovery and Reinvestment Act (ARRA). The challenge is that the data is siloed, highly heterogenous, and can create a massive bottleneck when it is cleaned and combined from different databases. 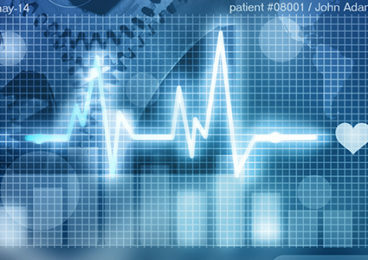 EHR implementation plays a key role here in alleviating the potential bottleneck and accelerate patient care. Furthermore, large data sets in healthcare are difficult to integrate given the disparity in types of data and complexity of the system. Consideration must be given to how data is captured and prioritized, queried, stored, reported and secured among other factors. Additionally, it’s vital that AI applications are created to support the intricacies of this medical information. For instance, medical imaging is extraordinarily complex, deriving data from dozens of devices and resulting in thousands of imaging features based on physical principles that differ from one technology to the next. These solutions shouldn’t be based upon a “one size fits all” mentality. Another aspect to take into account are those in the healthcare ecosystem understanding the guidelines and regulations in place, like HIPPA, to protect patient privacy and confidentiality. Implementing the correct protocols defined by organizations like the FDA will be critical to ensure safe patient care. Ultimately, education about AI, its capabilities, and processes will have to start with better integration in CME trainings and events. By doing so, healthcare providers will clearly understand the role that AI plays in healthcare, as well as a clear understanding of what AI can and can’t do. Finally, it’s imperative that solutions strike a balance between technology and the human touch. Despite the fact that AI and machine learning have been used in medical applications for years, many still fear the thought of machines completely replacing humans. While such fears are patently unfounded, AI won’t win over its naysayers until applications are created to improve human interaction in healthcare versus replacing humans in healthcare. To learn more or talk to us about your digital AI healthcare challenges, please fill out the form below. Interested in our Healthcare Services?